During a fun and highly interactive flower workshop with participants at the Barnardo's, creative minds and careful hands created the most beautiful bouquets. We would like to present this dazzling bouquet designed by Kyle! 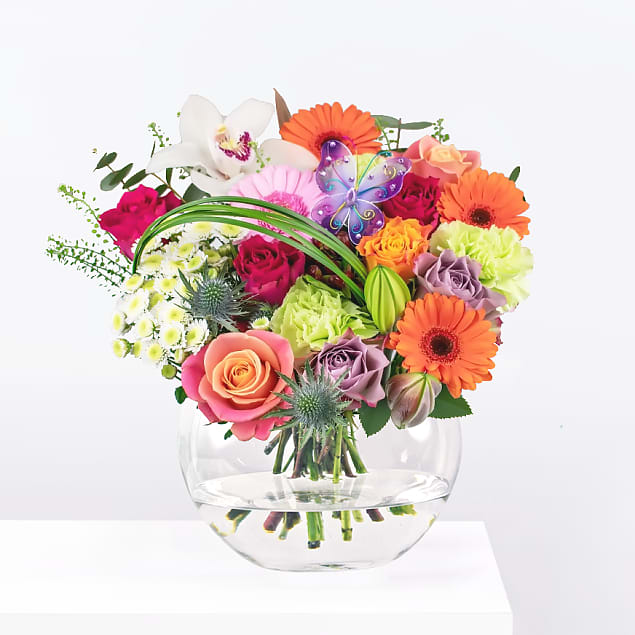 Bursting with plenty of rich and contrasting colours, this flower arrangement is an absolute joy to behold. 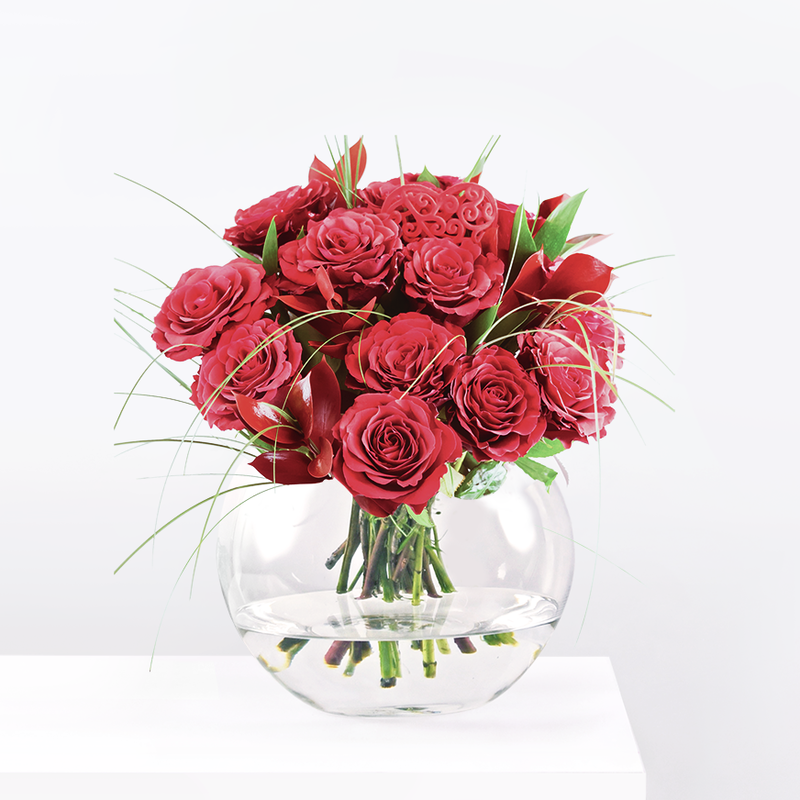 Roses, germinis and carnations brought together in fabulous floral harmony perfect for pampering mum on Mother's Day. Kyle's Bouquet has been added to your basket.